When November rolls around each year, our team isn’t just thinking about the holidays or our new 2018 initiatives – we are gearing up for the annual Greater Atlanta Home Builder Association OBIE Awards! A night spent with our entire team and esteemed peers, the banquet recognizes the best-of-the-best in the Atlanta home building industry. 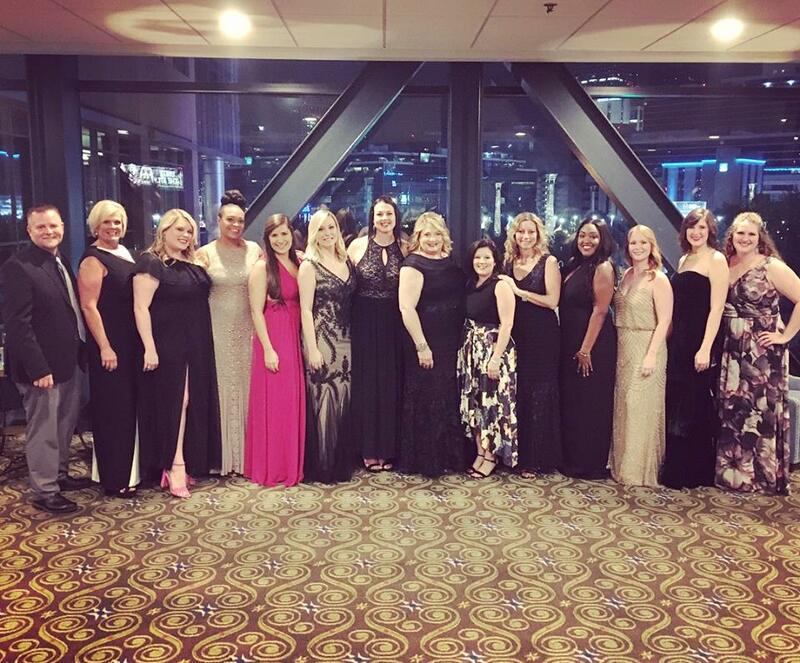 This year we were recognized in seven categories – taking home three “golds” and four “silvers” – making it a truly spectacular evening for our Haven team. Through trusting partnerships with some of the top homebuilders in the metro-Atlanta area, we were able to showcase our innovative work that continually pushes the interior design and merchandising envelope. Browse through our award-winning model homes and sales centers photos in the link below, and see why HDW is one of the leading design firms in the Southeast. We are so thrilled to be honored for so many of our projects and look forward to what the next year has in store for HDW! Ready to meet with us for your next model home, sales center, or commercial space merchandising need? Contact us now to schedule schedule a time to chat or meet with us in person at our Suwanee, Georgia offices.